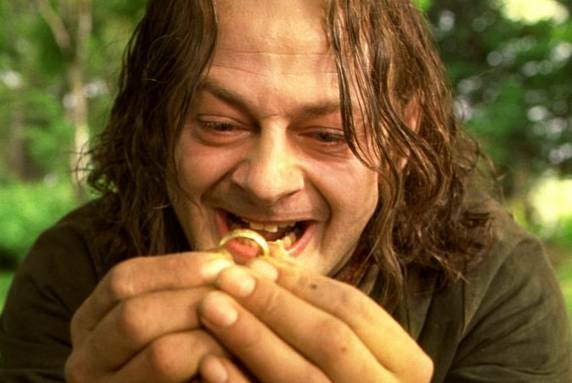 I will be the first to admit that Lord of the Rings anything makes my heart skip with joy. 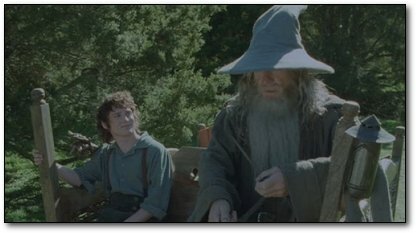 I love every panoramic scenery shot, every one of Merry and Pippin’s shenanigans, every time Gandalf goes into “serious wizard” mode, and every intimate moment between the Fellowship as they journey throughout Middle Earth. I’ve seen all 12 hours of glorious adventure more times than Sam can say “Mr. Frodo”. It is now my honor to answer some questions and reveal some fun facts about LOTR that I’ve learned along the way! #1 – How did they achieve those special effects? One of the coolest parts about the films is the seamless way in which they make the hobbits and their world appear miniature next to the life-size humans in the movie. Surprisingly, no CGI was used to make the hobbits appear smaller or the humans appear bigger. Director Peter Jackson in fact used a trick called “forced perspective” to achieve the effect. The idea is that you put one actor really far from the camera and the other one really close to the camera, then shoot at such an angle that it appears they are next to each other and that one of them is really big and the other really small. Which sounds simple, until you realize that you need to build everything on the set so that the actors can interact with it at the same time while hiding the fact that they’re far away from each other. 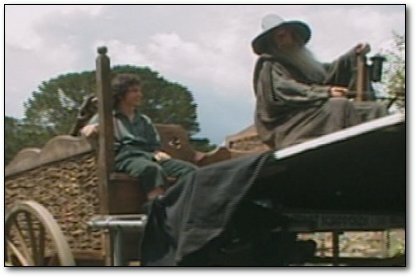 For example, take the scene in which Frodo and Gandalf are riding in a cart at the beginning of The Fellowship of the Ring. In reality, Frodo was sitting about four feet behind Gandalf! With the camera positioned at an exact angle, it created the illusion that they were sitting side by side. This trick was used dozens of times throughout the film, with the crew sometimes creating entire rotating sets so that the camera could shift without breaking the illusion. #2 – Why didn’t the eagles that rescued Sam and Frodo from Mount Doom just take them there in the first place? I, like many others who witnessed these eagles swooping down to rescue Frodo and Sam from the fiery Mount Doom often wondered, “Where were these guys ten hours ago? 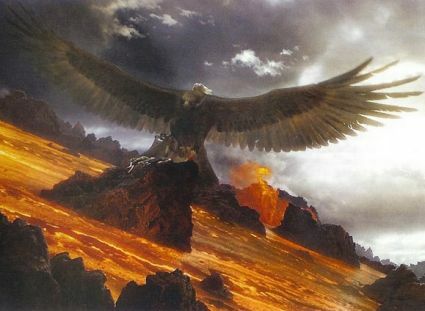 !” According to Tolkien, the reason the eagles don’t just fly everyone to Mount Doom is because “the eagles are their own race and do things for their own reasons”. Also, Tolkien didn’t want them to be seen as “Middle-Earth taxis”. Makes sense. Additionally, the Nazgul, or Ringwraiths – those shadowy Dementor-like creatures who fly around on winged beasts, would have most likely killed them before they made it. #3 – At the end of Return of the King, where does the “last ship to leave Middle Earth” go? This scene is one of Return of the King’s multiple pseudo-endings, where a seemingly final emotional moment occurs and the screen fades to black… only to reappear into another “final” emotional moment. The goodbye between Frodo and the Fellowship is heartbreaking, and I unabashedly admit that I cry every time. However, it’s nice to know where Frodo, Bilbo, and the others are headed off to as they sail into the horizon. 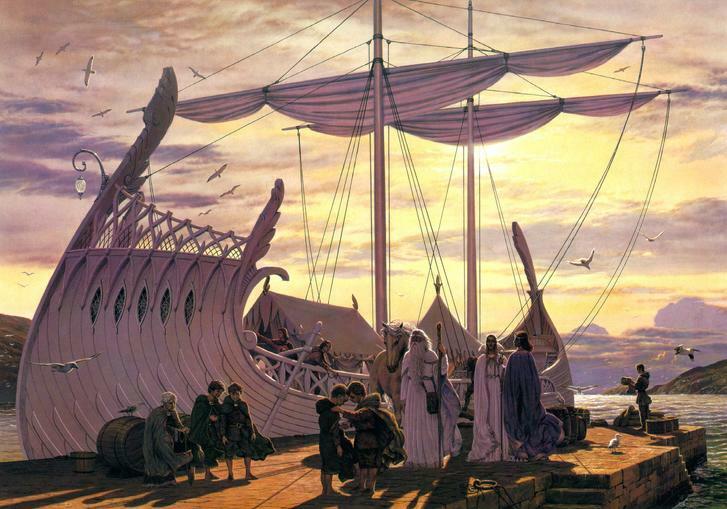 Because Frodo was the Ring-bearer and Bilbo the Ring-Finder, they were both allowed to go with Gandalf, Galadriel, Elrond and Cirdan on the last ship to leave Middle-earth for Valinor, the Blessed Realm – a kind of Heaven for Elves. The High Elves such as Galadriel originally came from Valinor, so they returned home. The mental and physical damage and pain that the Ring caused Frodo (and to a lesser degree in Bilbo) could not be healed or eased in Middle-earth, but in Valinor they could be cured of their hurts and live out their short lives there in the radiance of the gods. Many years later Sam was also given leave to sail for Valinor (because he saved the Ring from capture) after his wife died, and he built a small boat and did so. Legend has it that the last to see him was his eldest daughter Elanor, to whom he gave the Book that Bilbo and Frodo (and later Sam) wrote, with the whole history of the Ring and Middle-earth contained in it. A cameo of director Peter Jackson can be seen outside the Prancing Pony, holding a carrot. Originally it was supposed to be a pipe, but after a few puffs, he felt sick and went for the carrot instead. John Rhys-Davies (who played the dwarf Gimli) was actually the tallest of the Fellowship, at 6 foot 3 inches. It took one and a half hours to apply the Hobbits’ prosthetic feet each time. Tolkien put a huge emphasis on linguistics in Middle-earth. He created languages used in his books, including Quenya, which has similarities to Finnish and is the language of the Elves. Sean Bean’s lengthy “One does not simply walk into Mordor” speech was given to him to learn only the night before shooting. The special editions are, in total, about 158 minutes longer than the Theatrical releases. A final note on the special edition, extended versions of Lord of the Rings – they are absolutely worth it. I would encourage any fan to watch them if they have not already. It’s quite the commitment, but essential to achieving the ultimate, epic, LOTR experience. If you can find it, then “Darby O’Gill & the Little People” has an excellent scene of Darby dancing with the Little People that special effects people still don’t know how they did so seamlessly. Oops, thanks for the correction! You’re absolutely right. Silmarillion is the first and second ages, while the fourth is described in the appendices of the omnibus edition of LOTR. Hi Rachel, nice to read you for the first time. Patrick knows me. I also am a huge fan of LOTR, and I’ve read the books and seen the movies (extended, of course) many, many times. By the way, I’m pretty sure the Silmarillion is about the first and second ages, since it deals with Eru, the creation of Middle Earth, of Elves, Men and Dwarves…. The one I haven’t read (but will, as soon as I get my hands on it) is The Children of Hurin. I’m glad to know there’s another LOTR geek at Banana Scoop. What if Hermione was Sorted in a Different House?